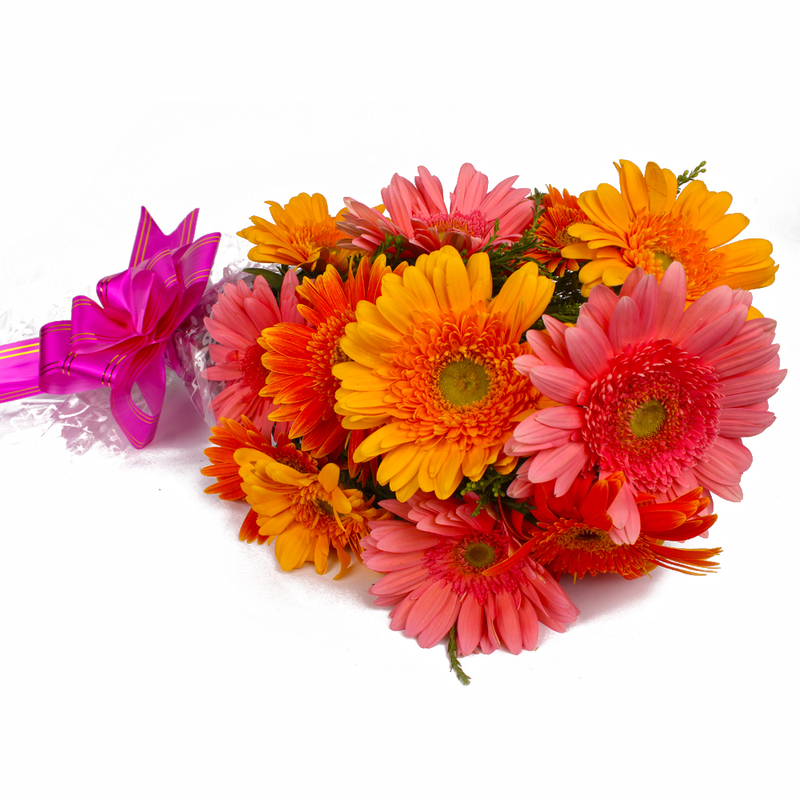 Product Consist : 12 Gerberas in Pink and Yellow Color with green fillers in Cellophane Wrapping and Ribbon Bow on it. 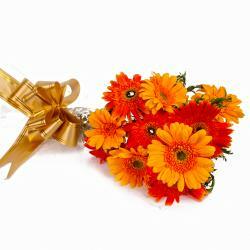 These Gerberas make for splendid gifts for special occasions. 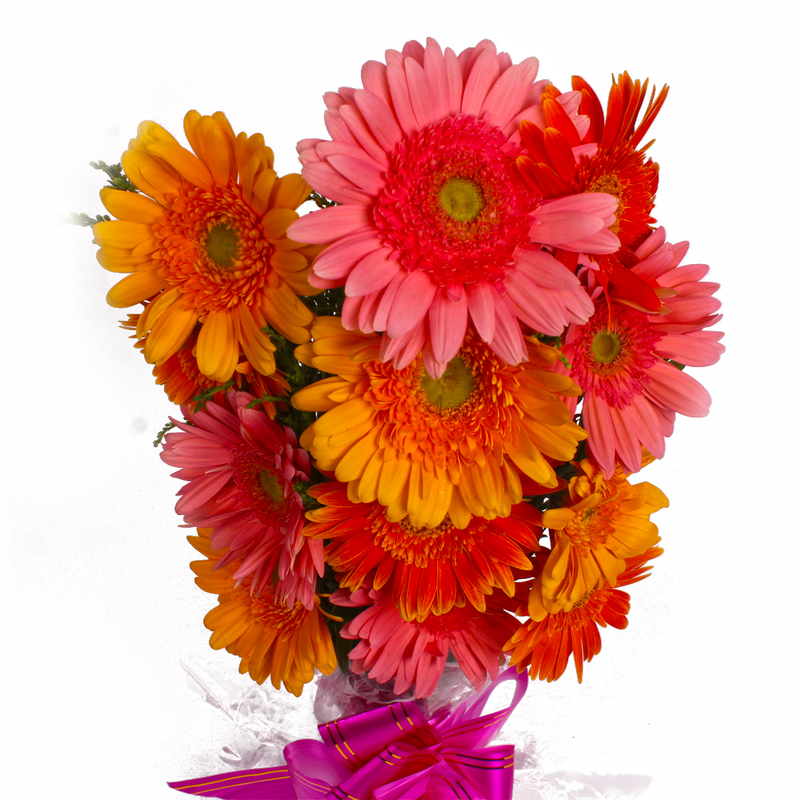 This gift bouquet contains dozen stem of gerberas in pink and yellow color which will be a treat to the eyes of any recipient for sure. 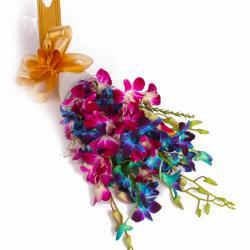 This pack comes with immaculate cellophane packing which is accompanied by a matching ribbon bow on top for added cuteness and aesthetic elegance. 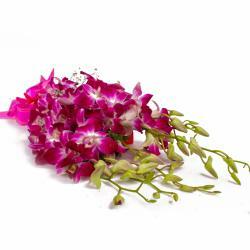 This gift pack can be used on multiple occasions like Birthday, Anniversary, Independence Day, Thanksgiving Gift, Friendship Day and what not. This pack will be really hard to resist indeed and merits a closer look for sure. 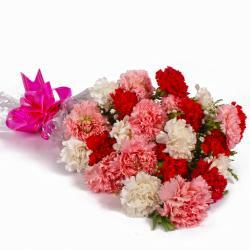 Product contains : Dozen Gerberas in Pink and Yellow Color with green fillers in Cellophane Wrapping and Ribbon Bow on it.